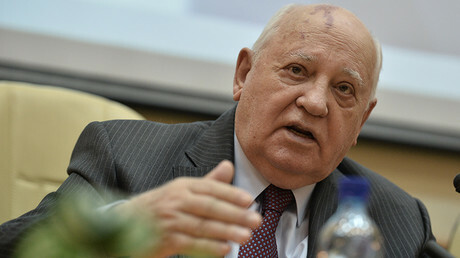 All of the attempts to resolve the numerous conflicts of the previous two decades militarily have solved no real problems, and only led to the erosion of international law and the glorification of force, former Soviet President Mikhail Gorbachev said. “Problems and conflicts of the last two decades that could well be solved through peaceful political and diplomatic ways… were dealt with through the use of military force. That was the case in former Yugoslavia, in Iraq, in Libya, and Syria,” Gorbachev said in an address to the participants of a conference in Moscow on Friday. The event was dedicated to the 30th anniversary of the Reykjavik meeting between the former Soviet president and his US counterpart, Ronald Reagan, in 1986. “There has been a collapse of trust in relations between the world’s leading powers that, according to the UN Charter, bear primary responsibility for maintaining international peace and security,” he said. The speech has been published on the official website of the Gorbachev Foundation. Gorbachev also said that the international community will only move farther away from the goal of creating a nuclear weapons-free world until world politics get back to normal and international relations are demilitarized. Gorbachev lamented what he called a new tendency to step away from talks, calling it “the biggest mistake,” while stressing that dialogue is at the heart of the solution. He insisted that regional disputes must not dominate the agenda of world leaders and prevent comprehensive dialog from taking place. 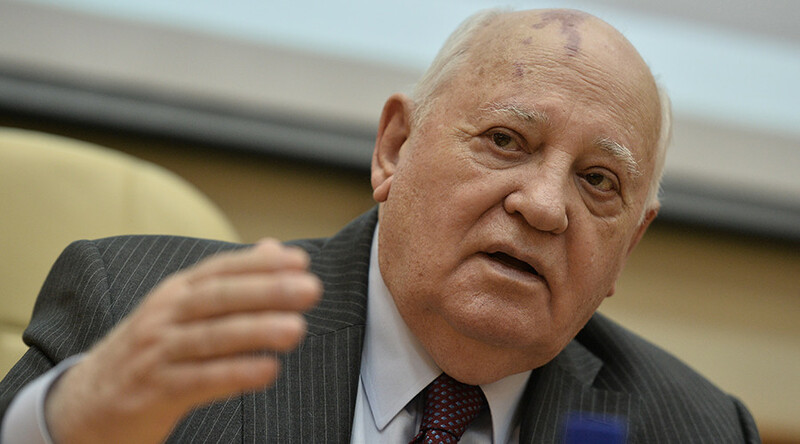 Gorbachev said preventing nuclear war and reducing nukes should still be a priority for world leaders, while other pressing global problems include fighting terrorism, poverty and underdevelopment, as well as dealing with environmental problems. The former Soviet president thinks that, through solving these issues together, world powers could help restore trust between them. 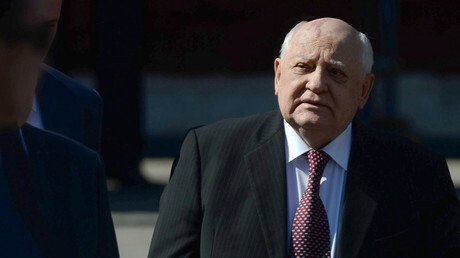 Gorbachev called on “veteran politicians, civil society, scientists and all people who care” to urge their leaders to return to peaceful, “demilitarized” relations. Notably, Kiev’s security agency announced on May 26 that the former Soviet leader has been banned from entering Ukraine for publically supporting Crimea’s reunification with Russia. “I’m always with the free will of the people, and most in Crimea wanted to be reunited with Russia,” he told the Sunday Times earlier, referring to the events of April 2014, when Crimea held an independence referendum and voted to rejoin Russia. 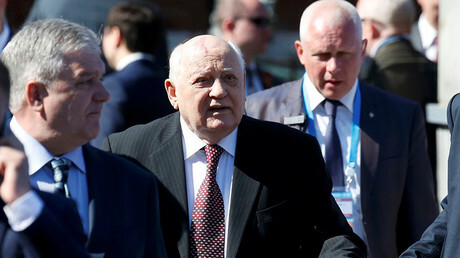 Gorbachev, who is generally critical of the policies of Russian President Vladimir Putin, said that he would have also accepted Crimea back into Russia if he had been in the Kremlin at the time. He expressed regret that, long after the Cold War, the world remains unjust, militarized, and violent, while blaming Western countries for the lack of progress. According to Gorbachev, certain Western nations hurried to celebrate “victory” after the collapse of the Soviet state and made little effort to establish a working relationship with Russia in order to deal with security issues – something the new global realities require.